Homeowners can identify concrete foundation issues from cracks in the basement, either on the foundation wall or on the floor. These cracks are typically due to drying shrinkage, thermal movement or other causes. 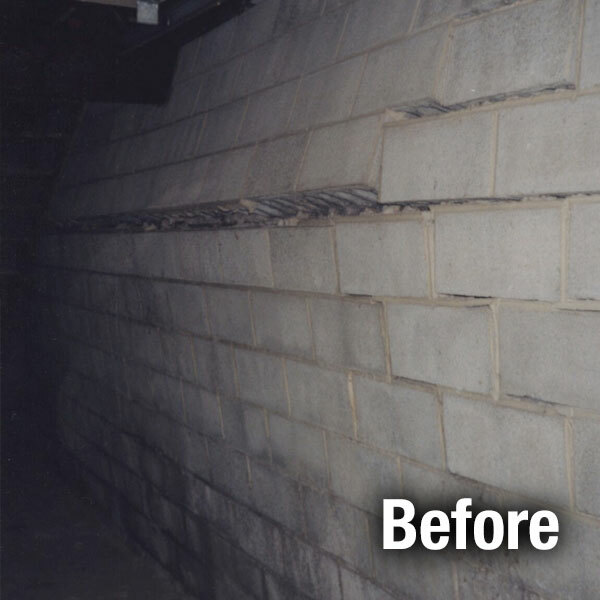 Foundation cracks can widen over time and result in wet basements or more serious structural problems. Foundation and slab cracks are not only an eyesore, but they may lead to more serious maintenance issues, while lowering the value of the home. There are numerous methods for the repair of settled and unstable foundations. These repair methods are most commonly referred to as Piering, Underpinning, Foundation Stabilization and Foundation Lifting. Due to the complex nature of these types of foundation problems, the correct repair is critical. A-1 will assess your foundation and provide the best and most economical solution for your particular situation. There is an easy way to permanently repair foundation cracks without the need for costly and disruptive excavation or drain tile. Poured foundation cracks can be repaired by the A-1 Concrete Leveling patented process, which uses a two-step Epoxy/Urethane injection. The Epoxy paste is used to set injection ports every 6" from top to bottom of a foundation crack, and to bridge the surface of the crack. The Urethane is then injected into each individual port, which than expands to fill the entire crack from the top to bottom, filling the void and providing a strong, solid repair. Carbon fiber technology was originally used in the military and aerospace industry because of its high strength and ability to resist elongation. 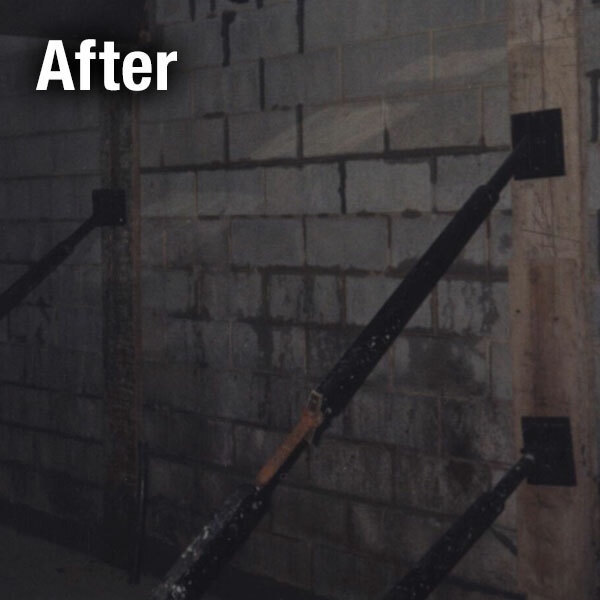 Carbon fiber can provide reinforcement to your basement walls by putting the interior of your wall under compression so that continued cracking and bowing cannot occur. Nothing is more important to the structure of your home than the foundation. Let A-1 Concrete straighten and repair your foundation before irreparable harm is done to your house.